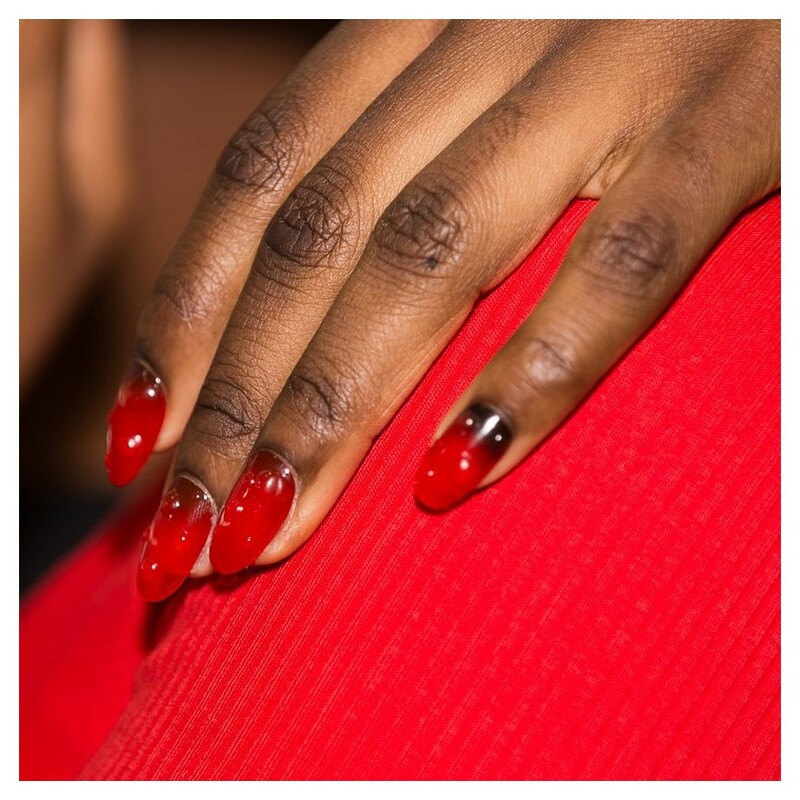 For KENZO’s La Collection Memento N°4 held February 27th, INGLOT team collaborated with iconic nail artist Naomi Yasuda for the ninth time to create a fresh tomato ombré nail look. Thanks to KENZO's most colourful and diverse prints and graphics, its owners decided to celebrate Kenzo Takada’s fun and whimsical side - they focused on his undeniable love for food and entertaining others. According to that, Carol Lim and Humberto Leon decided to present their super tasty and fun collection as a performance with professional dancers, instead of a standard runway show. La Collection Memento series invented in 2017 help to get back to the brand's history, its roots and to celebrate KENZO and its archives. For La Collection Momento N°4, Kenzo is taking us to the supermarket presenting its colourful collection inspired by fresh tomatoes. Vibrant graphics of yellow and red tomatoes accompanied by tiger motif, for the first time ever using also gold and burgundy. What was the inspiration? The archival format focuses on a historical print from Kenzo Takada’s 1992 men’s show of a hyperrealistic red or yellow tomato that brand's creative directors find joyful and worth celebrating nowadays. How to recreate KENZO "Fresh Tomato" nail trend? - Put one layer of the O2M Breathable Base to align the nail plate. - Put two layers of nail enamel in your favourite, juicy colour, choosing from yellow shade in 307 or red shade in 653. 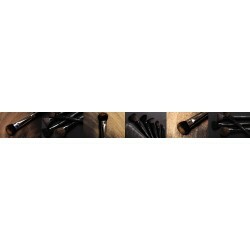 - Add ombré fading using make up sponge that will help to create seamless gradient. Paint sponge with O2M black nail enamel in 692 and base colour of your choice. Dub the sponge onto a nail plate and repeat few times to achieve the desired effect. - Use the Iconic Gel Top Coat to create the dew drops on your nails gently stroking the surface of the nail to create dots of various sizes.